Kariba REDD+, one of the world’s largest Carbon Mitigation and Conservation projects, has partnered with impactChoice to make natural assets available for trading on the EARTH token Natural Asset Exchange. Staten Island, NY, November 09, 2017 — ImpactChoice and Carbon Green Investments today announced that natural assets provided by Kariba REDD+ will be the first supply side project to make natural assets available for sale on the EARTH token Natural Asset Exchange (NAE). The Kariba REDD+ project has a long-standing relationship with impactChoice and will be using EARTH token for the settlement of transactions on the platform. Specifically, Kariba REDD+ will act as an inaugural supplier on the NAE and begin loading natural assets and make them available for trade from the first day of operations. Demand-side buyers will be able to purchase Kariba REDD+ natural assets using the EARTH token. All purchases of Kariba REDD+ natural assets and amounts will be recorded on the blockchain, leaving an open, transparent and auditable trail of the trade. Kariba REDD+ see the EARTH token and NAE initiative as an innovative approach toward a sustainable future, recognizing that the NAE can open up the market beyond the current buyers predominantly made up of international companies. 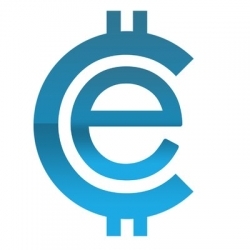 impactChoice will launch a token pre-sale of its ERC20 Standard cryptocurrency, EARTH Token (EARTH) on November 17, 2017. The main token sale will commence one week later on November 24. The goal of the project is to combine the strengths of Blockchain and Cryptocurrency with years of experience creating Environmental Sustainability Solutions to establish a global Natural Asset Marketplace that removes current barriers to participation in activities that preserve our Environment while providing all stakeholders with tangible assets that appreciate in value as the market matures and grows. Since 2011, Kariba REDD+ has been showing the way with one of the world’s largest ongoing conservation projects covering some 785,000 hectares of prime forest around Lake Kariba in northern Zimbabwe. The region has been plagued by drought bringing widespread poverty to local communities who turned to unsustainable deforestation activities to support their livestock and livelihoods. The Kariba REDD+ project works with local communities and offers them a range of sustainable conservation and farming alternatives such as beekeeping, tree cultivation, and low impact brick making. The project has sequestered more than 5.5 million tonnes of carbon dioxide emissions per year. impactChoice is a leading provider of environmental sustainability solutions. The impactChoice Natural Asset Exchange blockchain platform and EARTH Token (EARTH) creates a unique opportunity to invigorate the Natural Asset Market and enable all stakeholders in the value chain to participate. Transforming Environmental Sustainability from a financial burden to a business incentive by finally providing all contributors with tangible assets that will appreciate in value as the market grows – allowing the market to grow organically and achieve its massive potential.